Australia’s weather conditions are a constant swing between extremes and trying to keep our homes at a constant and livable temperature is hard, to say the least. Throughout the summer months, it is impossible to stay indoors because of the heat and humidity. When the cold season hits, everyone is forced to compromise, “It’s too Hot, It’s too cold, regardless, you’re stuck indoors for the most part. Short term solutions to these problems only try to give temporary comfort after which the hot and damp routine returns. Short term solutions include the use of fans and heating systems in the house. 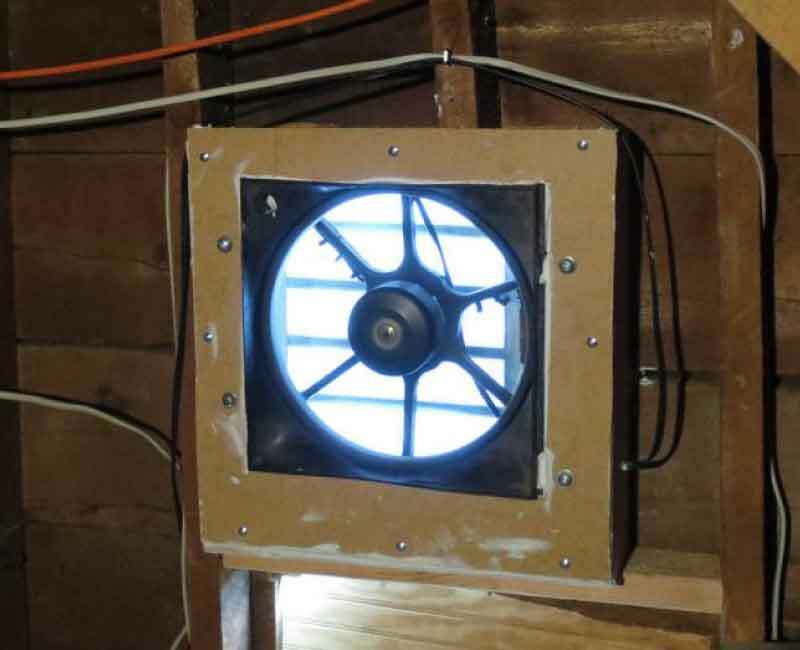 To curb the problem, an efficient ventilation system should be installed in your home. 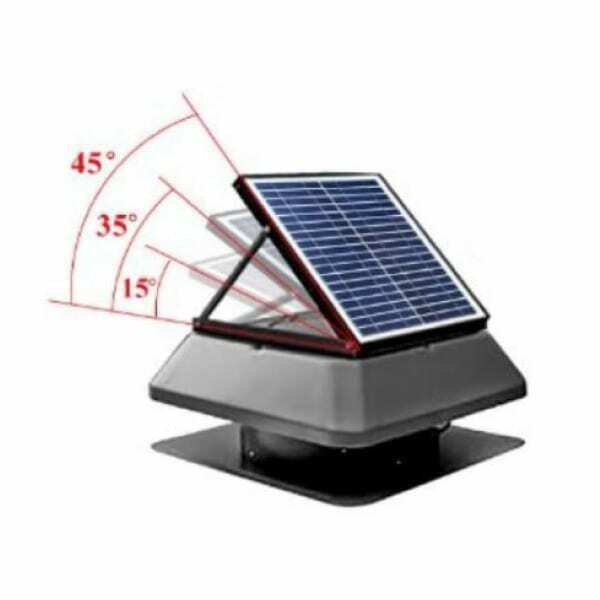 In Sydney, there are solar bright roof ventilation systems that provide lasting solutions to the conditions as well as maintain the structural integrity of your roof. They are a cost-effective way of retaining the comfort and structural strength of your home regardless of the season. Many roof vent types have the same central purpose, to provide adequate ventilation for your home which will in turn address heated air or extremely cold air in the house. To fully grasp the different types of roof vents, their functions, benefits, and limitations, it is essential first to understand your roof. Every Australian home has at some point experienced the wrath of extreme weather conditions. Homeowners, therefore, seek to understand roofing and try to find the best-suited ventilation solution for their roofing types. The gabled roof has a triangular form that is distinct to this model. This kind of roofing is quite traditional and simple. It has two roof planes and a center line that peaks at the triangles top point. A house built in a gabled roof has a stylish and luxurious look. The curved roof has a soft, round appearance that is an appealing style in coastal regions. 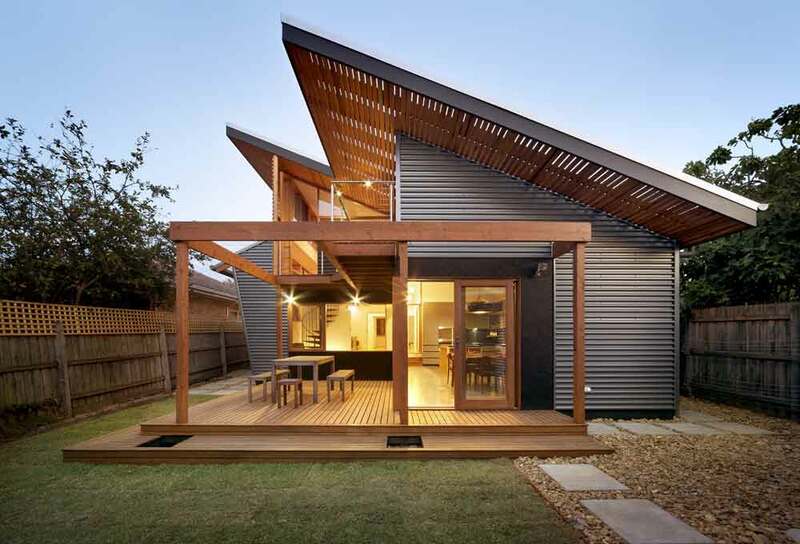 Contemporary housing designs prefer this style because it is a long-lasting roofing style. The base metal used in the roofing is thick for structural strength, and thus they are an expensive type of roof. There are three or more planes on a hipped roof. These types of roofs are sturdy and resilient against weather conditions like high winds. Hipped roofs are perfect for protection of the house and are great for any weather and any season. Australia’s coast, where high winds are recorded mostly adopt this roofing style. Hipped roofs have large soffits. Flat roofs are a contemporary roofing style that is very economical since it is low pitched. The flat roof minimizes the size of the roof which helps save roofing costs. Apartment blocks and other high rise buildings are fond of this roofing style. The roof construction is made from metal. The skillion roof has a high pitch that can either be slightly slanted or entirely pitched. They are very similar to flat roofs in advantages and offer a unique style to the house. Roofing can be expensive, and the proper roof is essential. Working with a budget is vital to ensure that you do not overstretch your limits. A budget also helps you eliminate the roofing styles that are way too high or too low on your budget limits. All the techniques of roofing ranging from traditional methods to modern designs are at your disposal. Your preference is what guides your decision. There are very many architectural designs that allow you to be creative and explorative with roofing styles. Picking a roof style requires deep thought especially if you live in areas where extreme weather conditions are often experienced. Each roofing type has an area where it is best suited. Ensure that you chose a roof type that meets the Australian standards for roofing. Having a roof without the right ventilation in Sydney is next to committing a crime against yourself. This is because when the hot summer months arrive, the levels of discomfort in your house will be unexplainable. 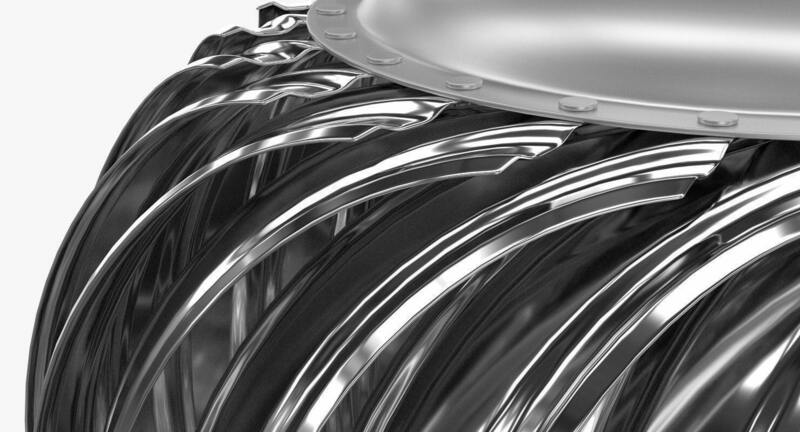 Mechanical roof vents are mechanically powered which means that their turbines are in constant rotation at all times. Mechanical roof vents have no off switch; they work 24 hours. These have been popular in Sydney for a long time due to their no extra charge feature. 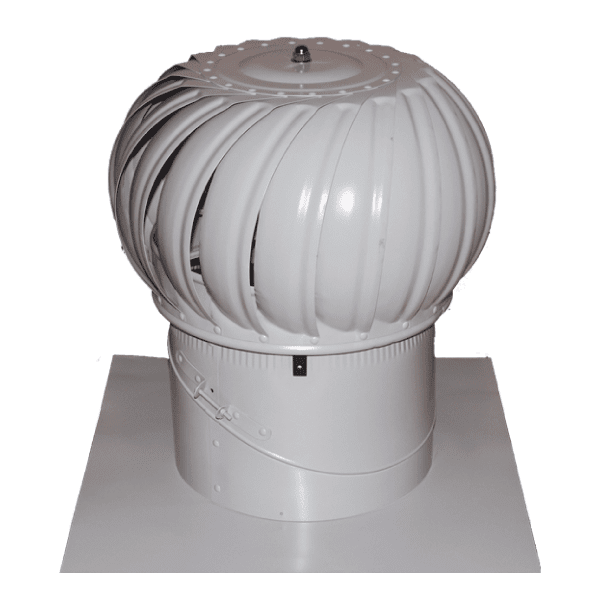 The wind-driven whirlybird roof vent depends on wind speed to rotate its fans and create the vacuum on the roof. 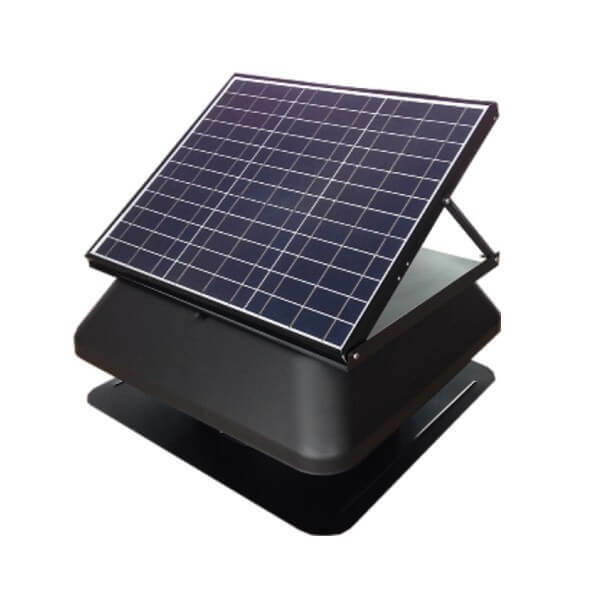 A solar-powered roof vents sources energy from solar panels attached to it or on the roof. 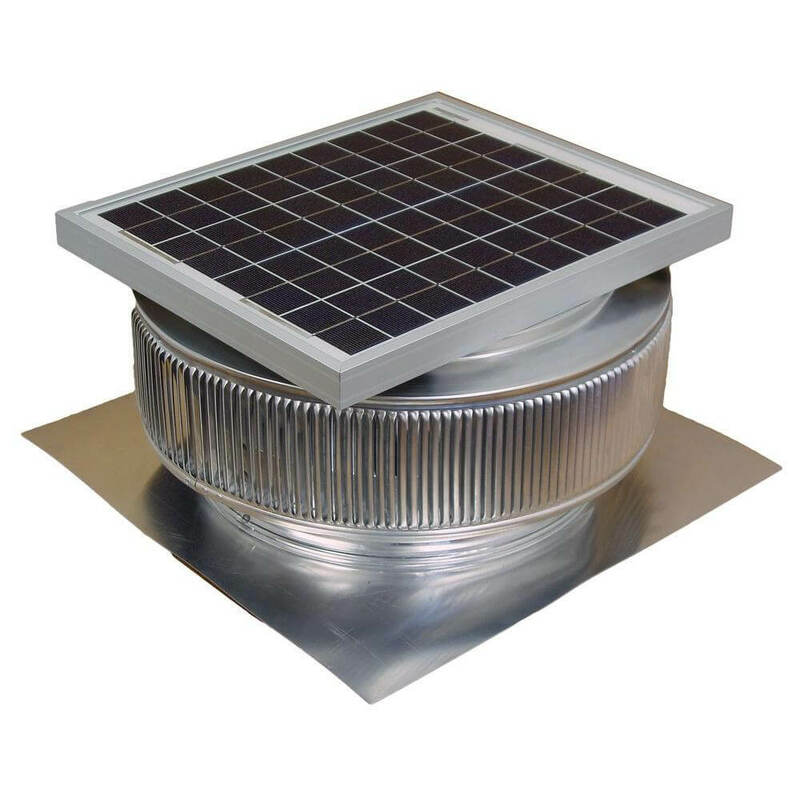 Solar is a clean source of energy which makes this type of roof vent reliable and safe. They are the most sought after roof vent types since they have no running costs and work 7-10 times faster than the wind-dependent whirlybird roof vents. These ventilation systems depend on electrical power to rotate their turbines. They are very useful for removing hot air and cooling larger spaces. The downside to using electric roof vents is the extra energy costs that come with it. Knowing each of the four basic types of ventilation solutions will help you decide on which roof ventilation system you want in your house. What Happens to Your Home if it Doesn’t Have Adequate Ventilation? • Due to the lack of airflow in the house, humidity levels begin to rise from daily activities like cooking, cleaning, and showering. The resulting moisture rises to the roof space causing structural damage. Many other surfaces in the house will be affected by dampness in a house leads to the formation of mold. Health risks are also a possibility. • During Australian harsh summer days, the accumulating heat on the roof space begins to escape through the small areas of tiled roofs or radiate into the ceiling space. The heat then penetrates the living space significantly increasing the temperatures. • When the radiating heat and the excessive moisture from your house meet, they are a catastrophic duo for your roofing. The structure of your roof rafters, shingles and trusses are compromised. What Roof Ventilation Does for Your Home? While many people remain skeptical about the benefits of installing a roof vent, those who have felt the wrath of extreme weather can tell the difference. When installing a roof, regardless of the type of roof or where you are, a roof ventilation system is essential. It will come in handy. • Roof vents remove all the radiating and condensing heat and moisture respectively from the walls and roof space. This helps prevent structural damage to the roof. With a quality roof ventilator, your rafters and shingles remain intact for a long time. • It helps increase the efficiency of the insulation system in place. Without the lingering heat on the roof, the insulation can work smoothly without struggling with hot air trying to penetrate into the ceiling space. • There is an economic advantage to roof vents since they reduce the costs of energy by cutting down on air conditioning. When it’s too hot, and you have no roof ventilation, the air conditioning system in your house runs high which is a punch on your power bills. Efficient roof ventilation provides a cooling effect to your home which significantly reduces the need for air conditioning. • Roof ventilation systems improve air circulation within your house and roof space by extracting all the heated air in the roof space and releasing it into the atmosphere. Summer months with excellent roof ventilation are bliss. There are many options for a homeowner in Sydney looking to find the perfect roof ventilation match for their house. It can be quiet tasking picking from the many available options but understanding each type and what it offers helps make the decision-making process more manageable. Is there really one best roof vent? Singling out one roof vent system as superior to all others is impossible. The main reason is that each type is designed for particular environments and roofing styles. Each home is designed uniquely and therefore not every system can work well in all kinds of homes. When defining the best roof vent, you should first consider your home design, size, type of roof and many other considerations. Climatic differences also make it hard to pinpoint one super roof vent distinctly. Some areas will experience mild heat while others have extreme. In these two areas, the same roof vent types may work differently. Therefore, to find the best roof vent type for your home, you need to consider your roof design and climatic conditions. The size of your home is also essential. If you have a 1000sq. Ft of attic space, you require about five sq. Ft of ventilation space. Space is shared among the exhaust fans, soffit vents and roof vents installed. Box vents are static vents that go by many other names like turtle vents, flat vents, low profile vents, and louvers. There are no moving parts in the box vents is what a static vent means. Box vents work by providing an escape route for trapped moisture and heated air from the roof space and ceiling. Box vents come in two types, metal and plastic. Depending on your preferences you get to choose the material and the color you want the vent. Installation of these vents is easy since it only requires you to cut out a suitable location for the vent on the roof. Once you place the vent in place, natural convection takes the course. Installation of the box vent should be done right next to or very close to the roof ridge. This is important because, at the roof ridge, maximum release of the hot air and humidity occurs. You can install multiple box vents around your roof ridge for increased effectiveness. Whirlybirds have several moving parts in their system but have no motor. This means that solar or electricity cannot power them, they rely on wind speeds to rotate their turbines. When it is windy, the turbines move faster creating a rapid cooling of the house. 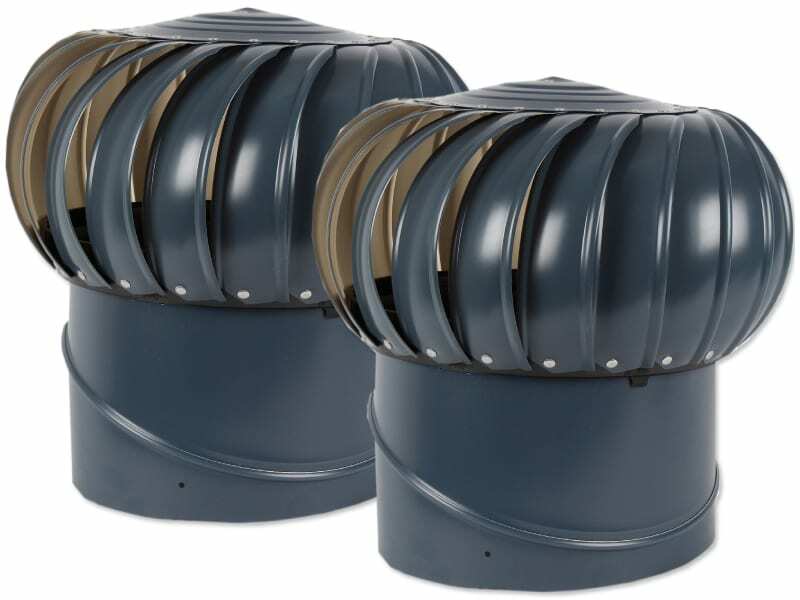 Whirlybird roof vents have a more significant success rate than the box vents. When there is no wind, however, their performance is derailed. Whirlybirds are very common in Australia, and as a result, there are many types of whirlybirds introduced. Sifting through the mass and picking the best quality whirlybird roof vent is essential. When picking a whirlybird, ensure that it has permanently lubricated bearings to improve efficiency and prevent malfunctions. 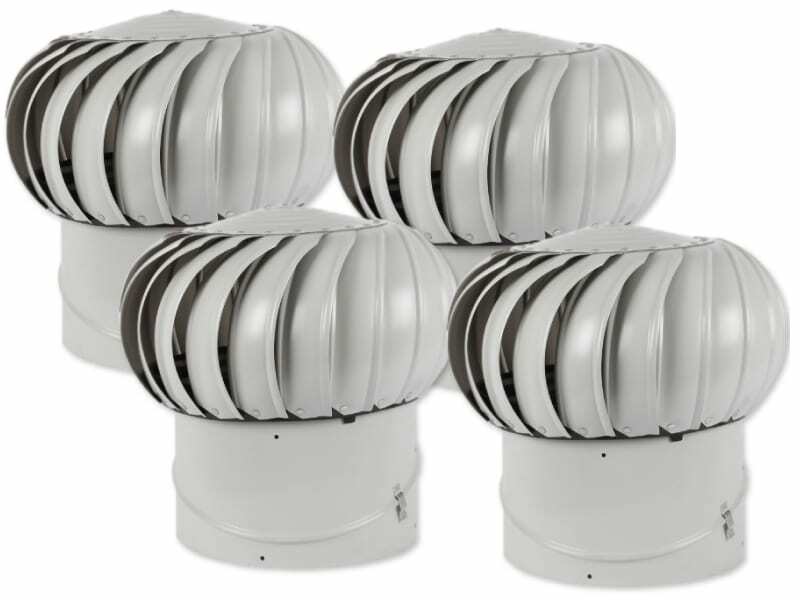 Whirlybird roof vents have no running costs, and therefore you should be able to purchase top quality roof vents. Cheaper versions of this roof vent make a lot of noise when the wind starts to blow. Through the spinning of the turbines, the hot air on the roof surface is drawn upwards and released into the atmosphere. Continued spinning extracts heated air from your living space and out through the ventilation system. Cupola vents function as static roof vents. The primary focus on the cupola vents is their decorative feature that they add to the roof. Installation of these vents takes place on top of the roof ridge where they provide an opening for air to escape the attic. 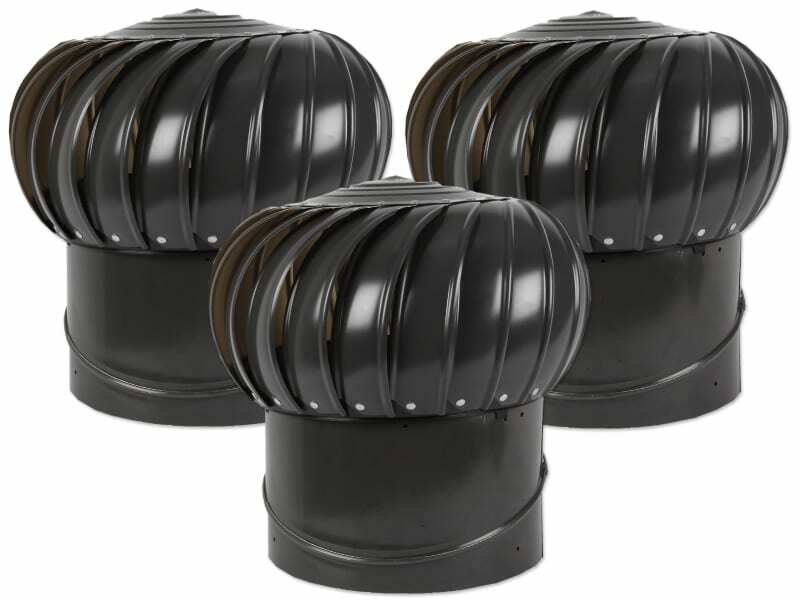 Using cupola vents alone is not a very practical solution to roof heating issues and moisture in your house. The cupola vents work best as helpers to other systems in place. Soffit vents are mainly used in conjunction with other roof ventilation systems. Their primary purpose is to provide a way for the ventilation system to take air from the rooms. They are the directional passageways for air into the ventilation. Soffit vents are excellent for increasing airflow in the house. When using small vents or solely using vents on the roof, soffit vents are essential to improving the air flow capacity into the house. They are mainly made of aluminum or PVC. A continuous ridge vent is the most dependable partner of soffit vents. When paired with this vent, soffit vents put forward their best performance. These vents are a lot like the box vents which confuses many people. They function in the same way. Their placement should be near the ridge, and all you need is a cut out of the roof to provide space for the vent. The main distinguishing difference between box vents and off ridge vents is their structure. Box vents are boxes while off ridge vents are long, thin vents. Off-ridge vents require several units and in some cases other vent systems to improve efficiency. Ridge vents have no moving parts which make them static vents. 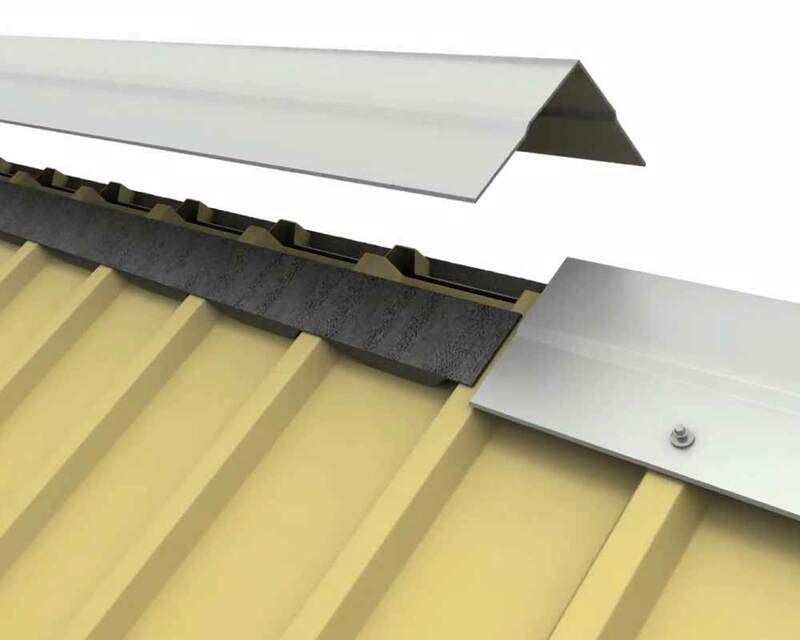 Ridge vents, like their name suggests, are installed on the roof’s ridge for maximum efficiency. Ridge vents a long and therefore in most cases, they occupy the entire length of the roof’s peak. Ridge vents are an excellent roof accessory since they blend with the roof line and seem as though they are part of the roof decorations. When a ridge vent is not installed from each end of the horizontal roof ridge, an unfinished look is what happens, and the roofing looks incomplete. When you couple roof ridge vents with under eave venting, you get the most potent ventilation duo. The primary purpose of the roof ridge vent is to create a balance on the roof so that the air does not become too hot or too cold. Ridge vents do not create a vacuum on the roof. Using ridge vents as your choice of roof ventilation solution, you get an even-aged roof since balancing the temperatures ensures that no part of the roof ages faster than the other. Roof ridges do not depend on wind for functioning; this makes it a very dependable roof vent. They are also known as Power Attic Vents (PAV). These have motors and therefore require to be powered for functioning. The engines in the PAVs turn the giant fans that in turn extract hot air and moisture from the roof space. 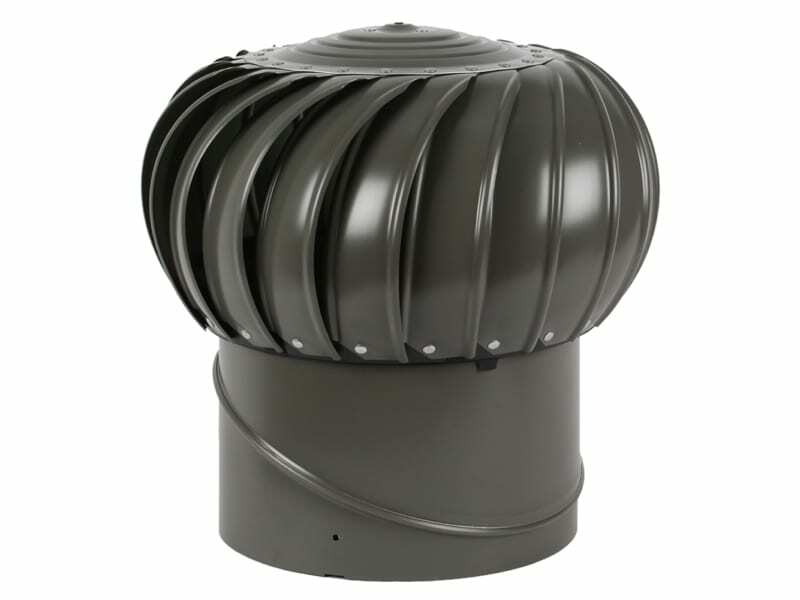 Power vents are available in a variety of colors that can match your roofing. Some of the significant benefits of using PAVs is that they have adjustable thermostats and humidistats. This means that you can set your Power Attic Vent to turn on when the temperature or humidity level on the roof reaches a specific point. Your PAV is going to be wired to your house to source electricity. Some other PAVs utilize solar energy to operate. These models are cheaper and easier to manage since they require no running costs. When running, these powered vents are relatively quiet and very efficient at facilitating air circulation even in large spaces. PAVs require regular maintenance to ensure that they are in good working condition. Many homeowners also experience the pinch from the cost of running a powered roof vent. Energy bills and maintenance bills are a downside to Power Attic roof Vents. Exhaust vents allow air from the attic and the vents to escape through the installed ventilation systems. 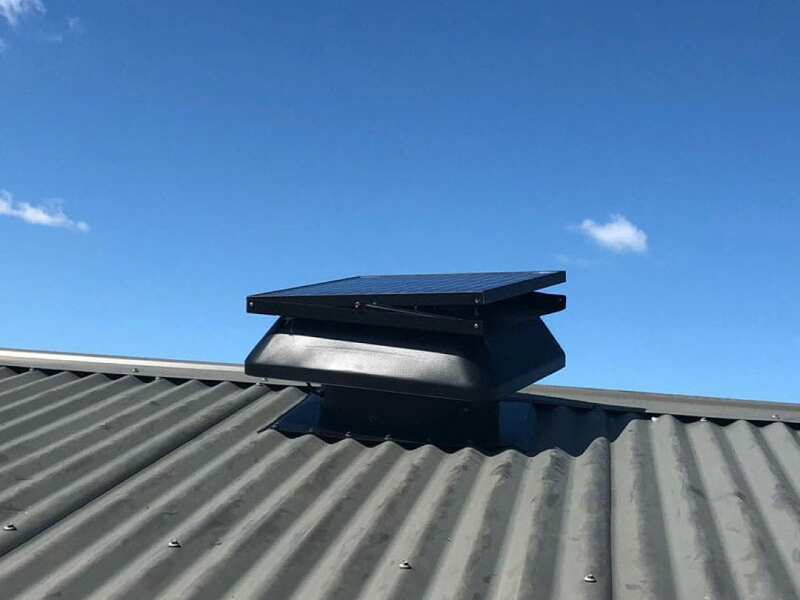 Exhaust vents should always be placed very close to the roof ridge or in other high parts of the roof depending on the type of roofing you use. For maximum efficiency and delivery, exhaust vents should be coupled with intake vents. These intake vents should be placed on the low eaves. The contrast in placement is to ensure that there is a balance in the air intake and the air that is leaving through the exhaust fans. This configuration utilizes the natural convection.